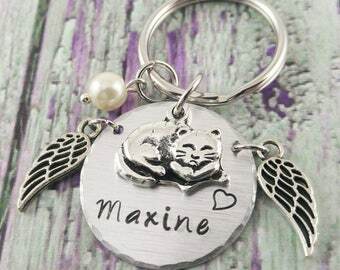 Select an option stainless ball 18" stainless ball 20" stainless ball 22" stainless cable 18" stainless cable 20" stainless cable 22"
This is a fabulous cat lover gift for women in particular, although certainly girls or maybe even boys would wear this. 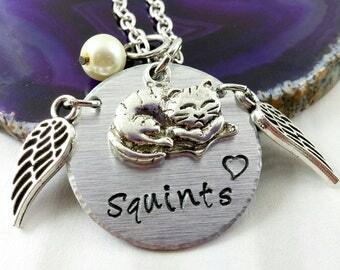 A custom cat necklace is a wonderful way to celebrate the kitty in your life. 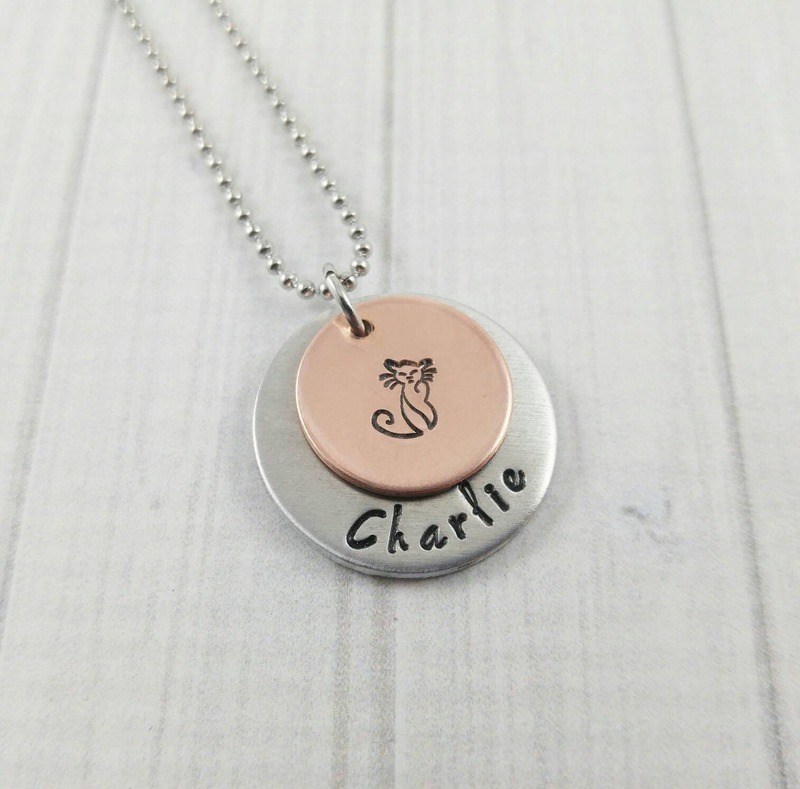 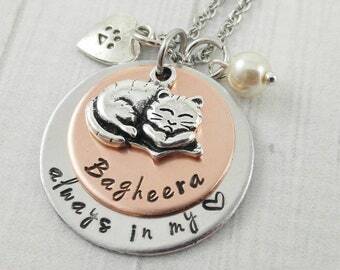 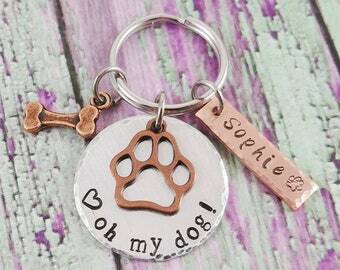 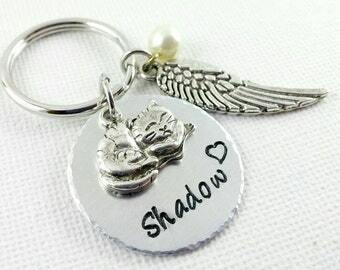 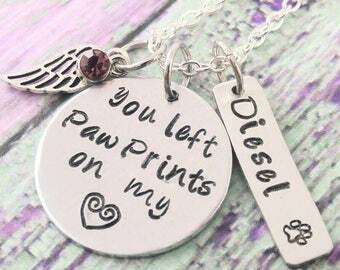 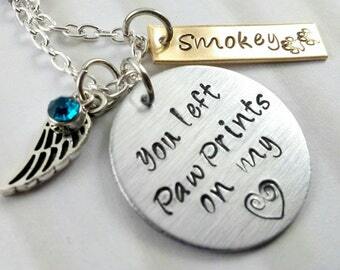 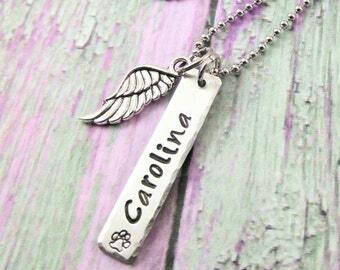 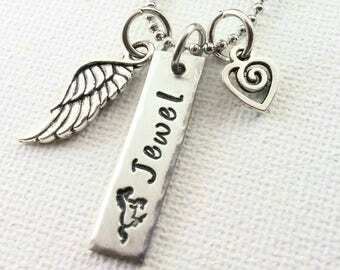 Gift this piece of personalized cat jewelry to someone, it will make their heart soar. 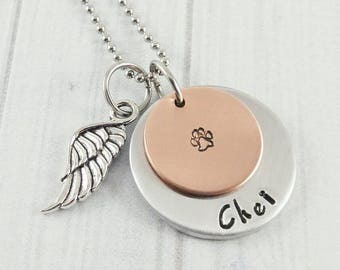 I used a solid and thick aluminum disc for the cat's name. 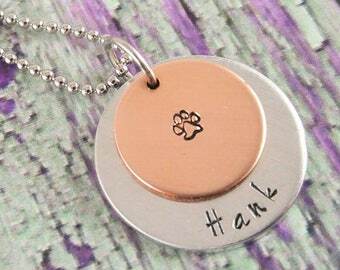 I topped it with either another smaller aluminum- or copper disc for the stamped kitty image. 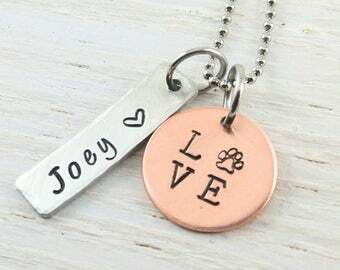 This pendant swings on either a 1.5mm, stainless ball chain, or cable chain of your choice. 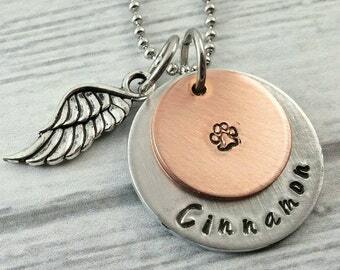 Please choose your preferred color for the kitty stamp disc, and chain type/length in the drop down menus.